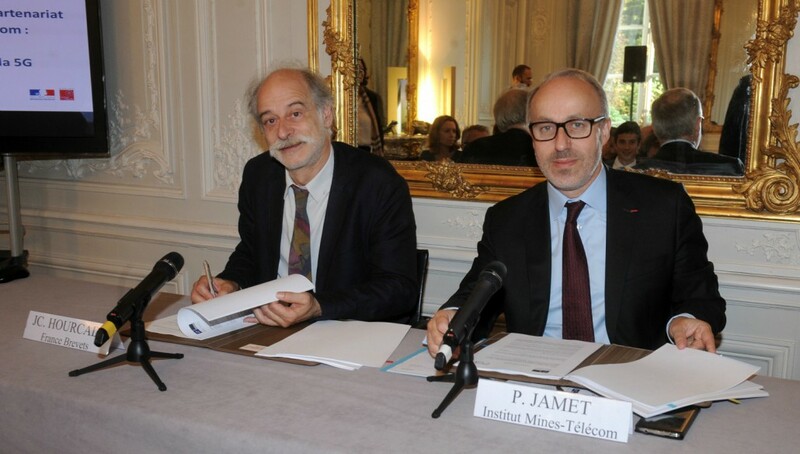 Paris, 13 October 2015 – IMT and France Brevets today signed an extension of the partnership agreement that has united them since 2011, with three new fields of research, and have reasserted their commitment to 5G. This cooperation is exemplary in international standardization in the field of telecommunications. 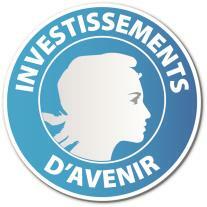 Four years after its launch, the partnership between France Brevets and IMT is today a success. An initial collaboration was created around MIMO technology, an encoding mechanism for high-speed data transfer, and which can be used in 5G. From three patents at the start, fifteen new patents have been filed in 18 months of joint work, illustrating the efficiency and productivity of this original approach. France Brevets’ participation leads to a strategy that is honed by research and the filing of patents, and informed by monitoring and analysis of patents in the field. The financial and methodological support from France Brevets in the identification, drawing up and filing of patents for key technologies creates a strong position that allows better promotion of the patents. In addition to strengthened filing of patents, France Brevets supports IMT in the transfer of its results within the rich, dynamic environment of 5G. For a long time, IMT has been developing renowned international expertise in the field of mobile telecommunications, in particular encoding and decoding, modulation, software technology and devices for infrastructure and end users. This experience has led notably to the creation of an internationally adopted standard: the Turbocodes, developed in partnership with France Télécom. Capitalizing on this expertise, the Institute is legitimately able to contribute to taking the results of French public research in high speed mobile telecommunications (5G) within international markets to the highest international level. This partnership fits perfectly with the strategy of France Brevets which supports research laboratories in the development and spread of their technology. It is also representative of the “Carnot” spirit, an accreditation that IMT has enjoyed since 2006.